Fiber artists Janelle and Kristin are following their own advice during their residency at A.I.R. Studio. The mother/daughter duo operates Fiber on a Whim together, an online shop based in Marietta, Georgia. This is their third trip to Paducah, but the first time that they will be here to focus on their own work. When I met with Janelle and Kristin they had already spent some time exploring Paducah with a friend and local fiber artist, Rosemary Claus-Gray. Their favorite stop thus far was Jefferson Street Studios where they coveted both Helene Davis’s hand-dyed fabrics and studio space. They made stops at Bryerpatch Studio and the Yeiser Art Center to see the international “Fantastic Fibers” exhibit. Both Janelle and Kristin rely heavily on collage techniques in their work. Whole pieces of cloth are cut up into smaller pieces, which are then stitched or fused together to construct backgrounds and objects. Stitched lines and layered sections call attention to the important areas of their work. Their wide range of techniques and tools adds to the diversity of their work, and their wide range of subject matter is typically playful in subject matter. Janelle started making quilts in the 1970s and quickly became tired of the traditional quilt form. She felt constrained by the color trends and wanted to explore more vibrant colors than what was typically acceptable. She was often asked to “sit at the back of the classroom” during classes and workshops, and quickly felt the need to break out of the repetition of the traditional quilt block and be more creative in her work. Kristin’s intuitive use of color shines through in her work. The range of colors that she brings into her work and application of stitching creates a dynamic relationship in her work to emphasize specific area and make details stand out. 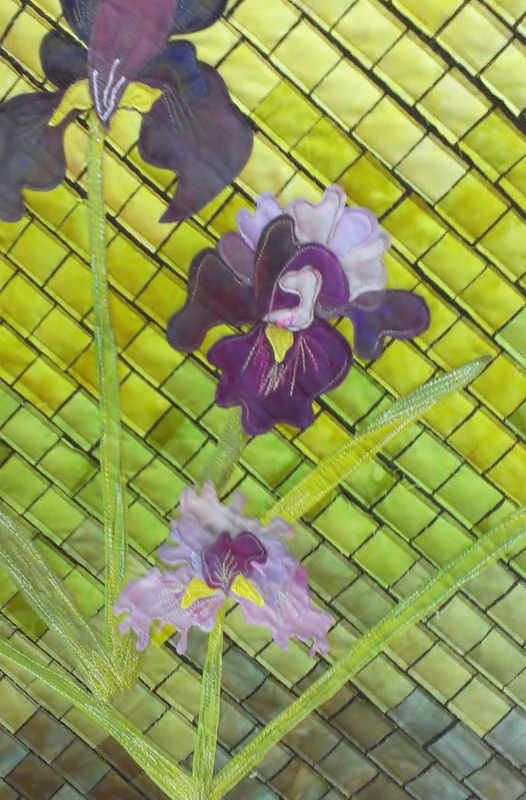 Her Iris piece, in progress, was created using Helene’s hand-dyed fabrics. 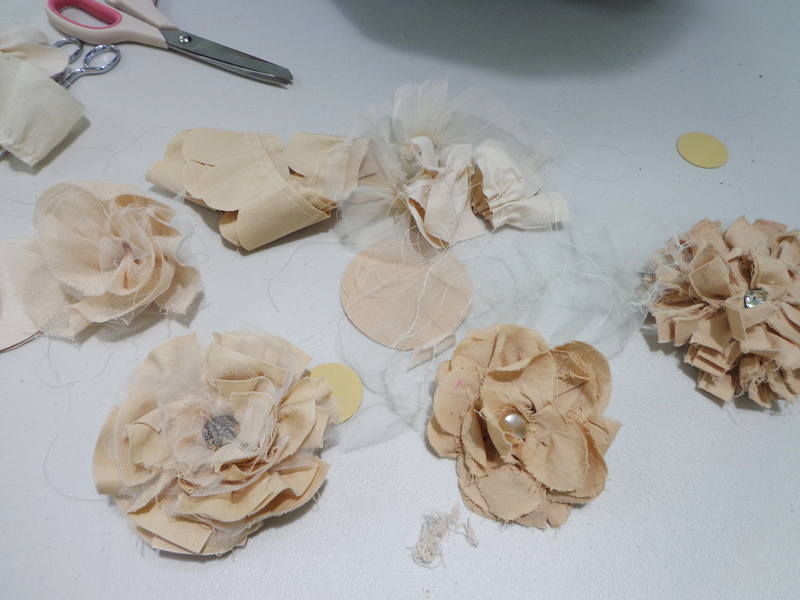 When we talk, she tells me that she is planning to work back into areas with hand stitching to accentuate the middle parts of the flower through a change in texture and color. 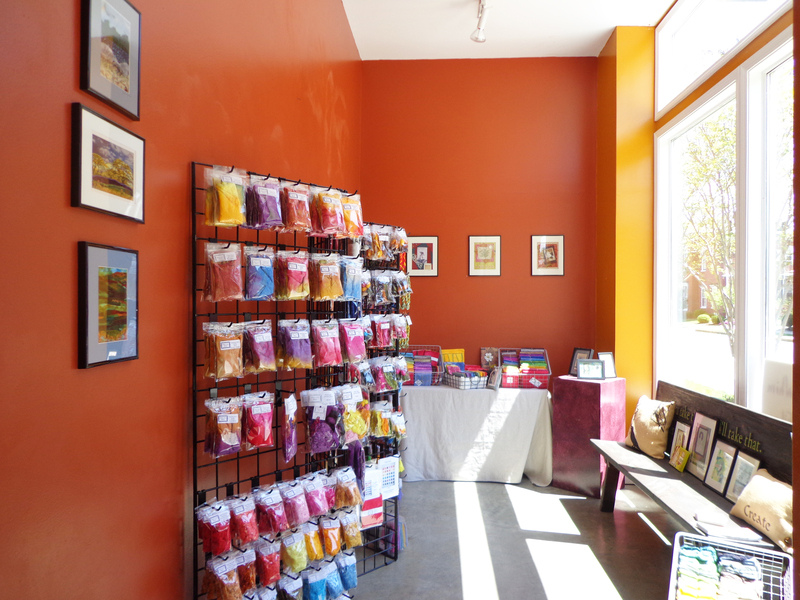 In addition to their own works of art, Fiber on a Whim specializes in hand-dyed fabrics, supplemented by books and products to promote creativity and exploration. They hand dye more fabrics than just traditional cotton, including silk, burlap and cheesecloth. 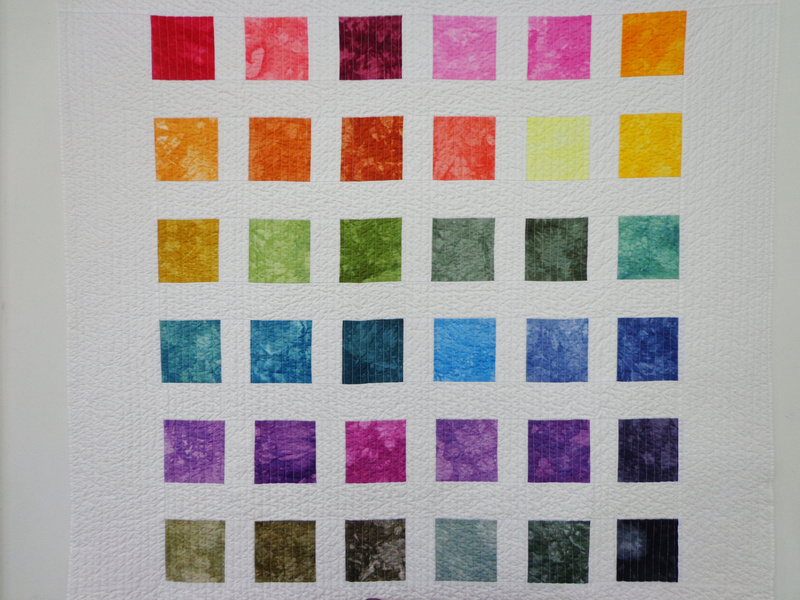 The versatility of their fiber choices allows for manipulation and layering far beyond a traditional quilt. The creative spirit that Kristin and Janelle bring to Paducah is sure to transfer to those they come in contact with this week. They are offering several technical workshops this week intended to produce small works while introducing a specific product or skill and encourage creative play with materials. For more information, visit their website at http://www.fiberonawhim.com.